Garland. Banner. Bunting. Whatever you call it, a a few pieces of colorful paper strung onto some ribbon, yarn or bakers twine is always a great way to liven up your holiday home. 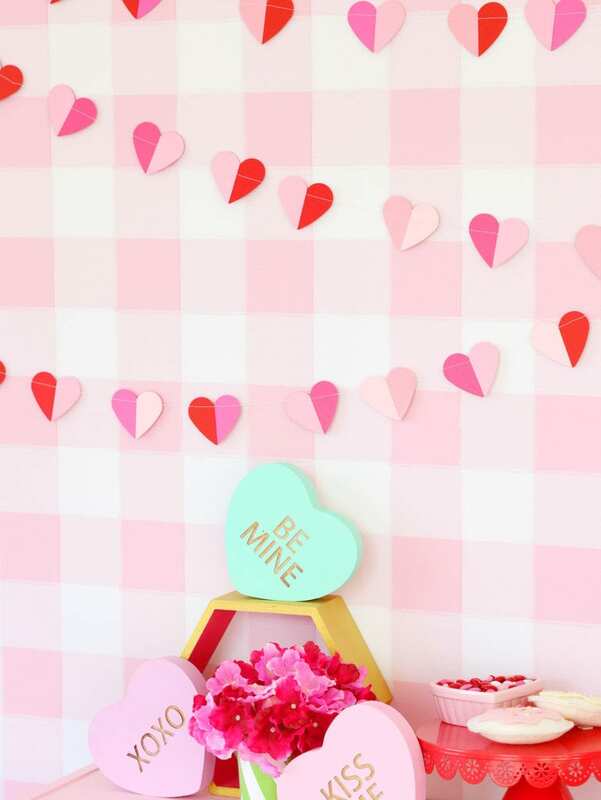 This easy paper valentine heart garland is one of my favorites because it uses some of my very favorite go-to crafting supplies! 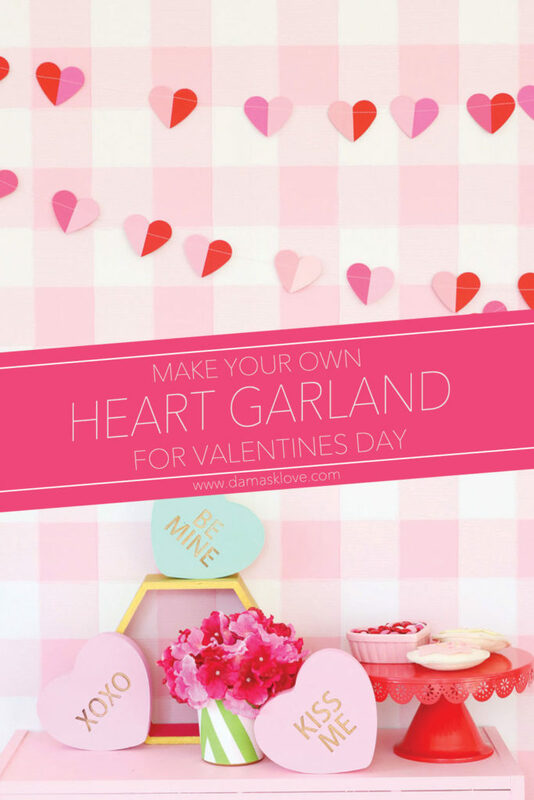 Join me on Youtube or Instagram to learn how to create this valentine heart banner in just a matter of minutes. 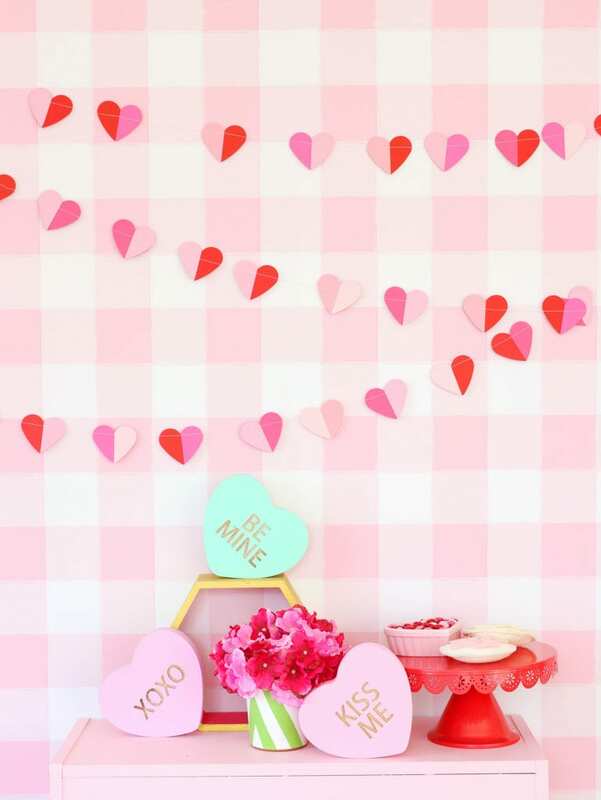 The modern look of this garland gives it a look unlike anything you typically find in the craft stores! Enjoy crafting your own paper heart garland and be sure to share your version with me on social media by using the #DamaskLove hashtag! 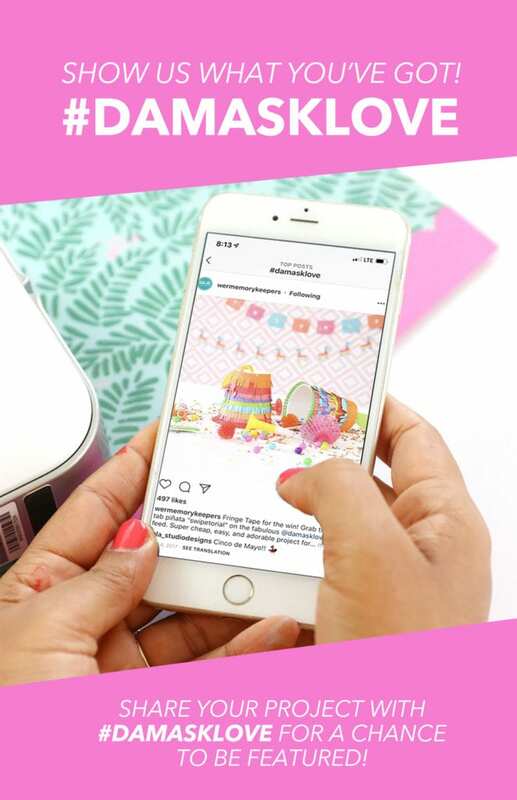 I love featuring your projects!! I’m trying to find the project info of what was used n featured on home & family today Feb 6th 2019 with the lips on the tablecloth. I’m looking for possibly unicorns. Can you help me ? Love this banner! I ordered the sticker maker also! Can’t wait for it to come ! What a cute project! And I have all the products to make this! 🙂 I have not used a sewing machine on paper before though. I’ll have to try that! Thank you for the inspiration!